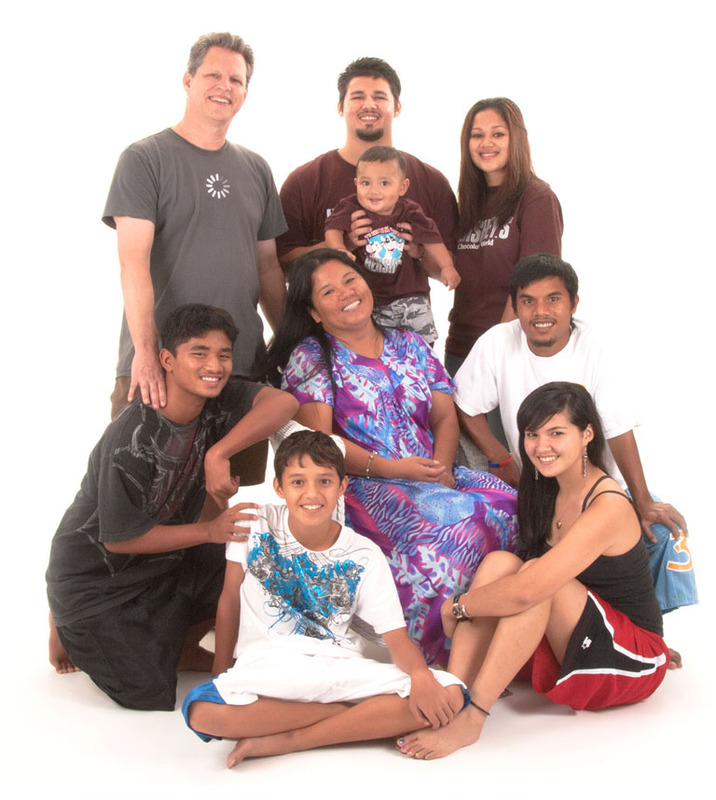 I grew up around Canvasback’s work so, of course, I’ve heard a lot of non-Micronesians explaining the culture and conditions of Micronesia to other non-Micronesians. Usually, it’s very patronizing and most of the time is either highly biased or blatantly incorrect. Look, if you’ve spent a few weeks in a country with a culture and history radically different from your own, you do not have an authority to tell someone, “The so and so people are a very kind and simple people.” Don’t say that. It makes you sound ignorant and racist, and ignorant racists aren’t the kind of people who should be doing humanitarian work. However, as a Christian who’s studied theology and traveled to a lot of churches, I can assure you if you want to say that kind of stuff, there are plenty of churches where you can say that exact phrase and no one will bat an eye. I spent a year as a student missionary on the island of Yap and even then, that time was nowhere near long enough to even scratch the surface of what it means to be Yapese. Still, we student missionaries are very fond of using phrases starting with the so and so people and ending with a character trait. It makes me cringe to hear things like, “The Yapese people are very polite and superstitious.” The Yapese people are people, and like all people they are individuals who shouldn’t be generalized. You can say, “Traditional Yapese culture values traits of courtesy and has many beliefs about a supernatural world surrounding the island.” Then you’re talking about an idea, a cultural value, that Yapese people may or may not subscribe to. We don’t have to fall into the trap of finding the simplest way of grouping and categorizing anyone we consider “other.” It takes years and years of very intentional attempts to understand another culture, and even then, we are not completely proficient. 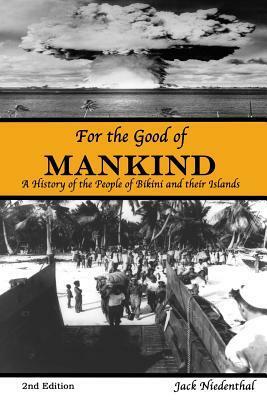 There’s a book called For the Good of Mankind: A History of the People of Bikini and their Islands written by Jack Niedenthal, an American born in Pennsylvania, which I’ve been avoiding for all the above reasons. However, I’m in Malaysia right now and I forgot my iPad charger back in the states so I figured I might as well give it a read through. Surprisingly, I’m thoroughly impressed. 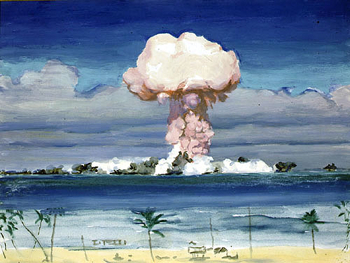 Niedenthal, who I met in Majuro, has written a respectful, powerful account of the nuclear exodus and legacy through the stories and voices of those who experienced it. In fact, I finished the book angry that in all my years I had not heard this crucial story from the perspective of real Bikinians. Bikinians refer to the people who traditionally came from Bikini atoll, part of what we now consider the Marshall Islands. The island was desirable for its large harvests and fertile lagoon. This combination attracted Spanish traders interested in kopra, a product of the coconut used for oil. In the beginning of the 20th century the Japanese began to “administer” the islands, the beginning of the powerful outside world deciding that the Micronesian people needed someone to babysit them. During World War II, the Japanese military built up its forces in the islands and used the locals as free labor motivated by beatings. When the U.S. came to Micronesia they waged bloody battles on island after island for strategic position, but on Bikini, the people assisted the U.S. forces by showing them where the five Japanese soldiers had barricaded themselves. Rather than be taken, the Japanese detonated a grenade in their foxhole, killing themselves and ending Japanese occupation. Since then the Bikinians have been a displaced people. They have been moved on three different occasions and have yet to return to their island which was radiated during the testings. Niedenthal records the voices of Bikinian who feel a connection to their island in ways that I couldn’t fully grasp. They refer to it as a family member who has been lost, whose return is longed for. He talks with Bikinian leaders who are watching their culture disappear. There’s a feeling that they were tricked into something they didn’t understand. The book offers the memories of heroes who starved together during their first relocation to the island of Rongerik, an island traditionally believed to be cursed. Its vegetation did not yield enough produce to feed the people, and its fish carried a poison that made them near inedible. Niedenthal himself is a bit of a hero and an example of someone aware of the huge barrier that can block us from cultural understanding. He came to the Marshall Islands as a Peace Corps volunteer in the 80s and learned to speak Marshallese. He then contracted to teach in the Bikini schools and was later asked to be the Trust Liaison for the Bikini people. This position means he’s a go-between, a translator, assistant, and cultural guide for the people as they work to bring awareness of their situation and move back to Bikini atoll. He’s married to a Bikinian woman, has four kids, and was awarded honorary Marshallese citizenship. Here I have to admit another one of my biases. I’m really turned off by humanitarian workers who tell me they’re learning the language of the place their working. I know this sounds ridiculous. It’s a bad bias and I should encourage education, but here’s why it puts a bad taste in my mouth. First, it is very easy to falsely connect language and cultural understanding. Speaking Japanese doesn’t make you Japanese. Nor does speaking Marshallese automatically mean that you understand and can function within that culture. Secondly, I have often heard the argument that learning the language shows the people that you are truly making an effort; that you care. To me this feels like a parlor trick. Sure, someone might like the fact that you’re speaking their language but that can serve as a cover up for not making the right kind of effort. Show you care by doing good, beneficial work. Don’t just charm everyone with your elementary language skills. Lastly, I’m turned off by the idea of learning someone else’s language in order to go into their community and get something. It’s the model of: I’ll learn your language so that you’ll convert to my religion. This is one of the reasons Niedenthal surprised me so much. He doesn’t seem to fall into any of these categories. He used his Marshallese language skills not to impose his ideas on someone but to learn and to assist in their work around the world. For the Good of Mankind holds interview after interview that he meticulously recorded from conversations with the people he met. These interviews hold the stories, emotions, and history of a people who are disappearing. The Bikinians who lived on the atoll during the time of the displacement are dying off and these interviews will be some of the last records of their experience. Some of these were only possible through Niedenthal’s willingness and language skills. He just might be as close to understanding Marshallese culture as anyone born outside of the culture could be. Still, in his book he admits that he is not Bikinian and will not claim to fully understand the plight of a Bikinian. So here are the points: let’s all be less racist and more culturally aware, I can be a very biased and angry person, and you should go out and read For the Good of Mankind. (Spoiler: they don’t make it back to the island.) It’s available on Kindle and Amazon, or you could swing by the Canvasback office and I’ll loan it to you. Also, here’s a picture of Sponge Bob in Bikini Bottom. This entry was posted in Global Perspectives. Bookmark the permalink.